Learn how cloud storage will allow your business to meet the growing data demands of third-party platform applications with our new guide. Seventy percent of IT professionals say their storage needs will increase over the next year, while budgets remain flat. Cloud object storage is a cost-effective, scalable, secure solution for storing unstructured data. 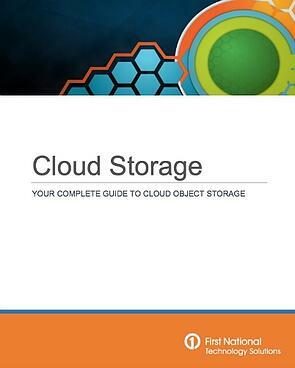 Understand the technology of cloud object storage. Start customizing a storage solution for your business; download our guide today. Fill out the form to receive instant access.